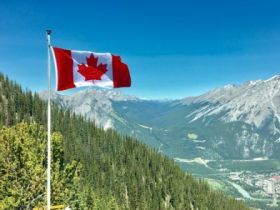 The only direct flight from Dublin to Calgary is available to book on Expedia TAAP for your 2019 summer holiday bookings. Calgary has more hours of sunshine than any other city in Canada, making it a great destination any time of year. Your clients can stay with some top hotel brands such as Westin, Hyatt, Sheraton, Marriott and many more. Expedia TAAP Agent discount and Package Rates are available on selected hotels. In summer, you can book your clients a full-day tour to Waterton Lakes National Park or visit Gasoline Alley Museum on Expedia TAAP, and earn commission. In winter, you can book Calgary Flames Hockey Tour or Grotto Canyon Ice-walk on Expedia TAAP also.